Rotating shift tip provides 6 different positions. Offers more sensitive shift position adjustment. Shift arm is made of A2014 forged aluminum for durability. 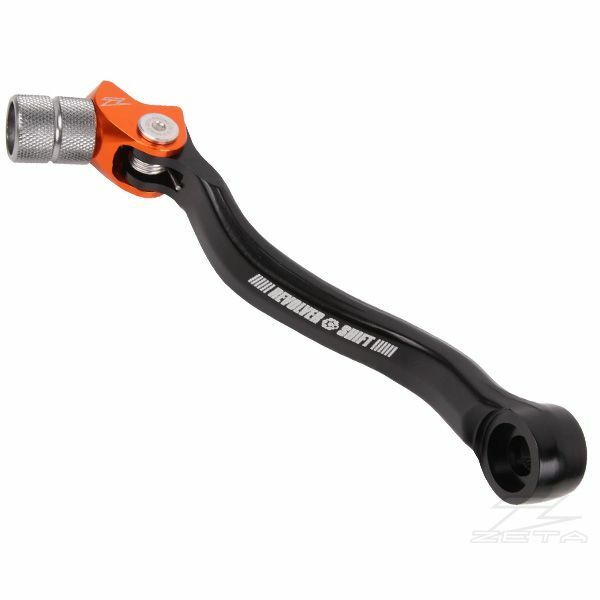 Forged arm is black anodized finish with laser print logo. 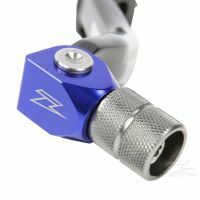 Foldable shift tip is made of CNC aluminum with knurled finish for better shift grip. Shift tip is color anodized with ZETA laser print logo. Replacement shift tips and tip mounts are available.